Several Dual Band DMR handhelds have been introduced into the market in the past few months. Having owned most of them, I would have to place this one toward the very top of the list. The DMR-6X2 is both VHF and UHF, Tier II DMR digital as well as FM analog with most features geared strictly toward ham radio use. The heart of the 6X2 is the proven Anytone D868. Under contract with Anytone, BTech had several addition features exclusively added to the 6X2. The 6X2 allows multiple scan lists to be entered per channel. You are no longer limited to one scan group entry per channel. The scan groups can include and mix of DMR or analog channels. This is specially nice when using a hot spot. By setting a key function to “Dial” or “Long Press 0”, and the Group Call Hold time to “Unlimited”, you can enter a Talk Group using the number pad and it will remain permanently or until the channel is changed. No longer is the hold time set in seconds or minutes. There are two display color options available. They are White on Black background, and Black on a Powder Blue background. (shown below). They are selectable by either software or keypad menu. The analog squelch level can now be adjusted using one of the programmable keys. To assist with start up, the software was written to initially accept an Anytone D868 code plug. I’ve had a 868 since they first came out, and this was a huge time saver. Everything transferred and I was ready to play radio in minutes. Note: Due to the extra features in the code plug, a 6X2 CP cannot be transferred back to a D868. Not to be confused with a standard repeater, this feature allows the DMR-6X2 to function as a Store and Forward Simplex Repeater. The 6X2 records a transmission and stores it in memory. Immediately after the incoming signal is dropped, the transmitter keys and re-transmits the recorded audio. The re-transmission can be either on the same or different frequency (not necessarily on the same band). This feature allows the 6X2 to be used as a relay point during events such as marathons, races, etc. where a central relay method is needed and there is no local repeater. When a signal is received, the data image (name, call, location, etc) remains on the screen until the next signal is received rather than drop back to a standby screen. There is a Call End indicator at the bottom, but the data remains. The power levels hold pretty close to the specifications. There are four power levels with a high of 5.0W and a Turbo mode of 6.5W. I personally run mine in 5W mode. Turbo isn’t going to Make or Break the signal, but it helps the battery. What I do like is the low power mode is less than 1W. I run a hotspot here and if the power was only 0.3W I would be happy. My audio reports have been excellent both through a DMR hotspot and the local repeaters. There is a five level microphone gain parameter that allows you to select the microphone gain level that best suited for your voice. I use level 3 (mid-level) for a full smooth audio response. I tried level 5 and found the audio was way too hot. Power levels are listed below and were taken using a calibrated Bird Termaline wattmeter. The DMR-6X2 case has a good solid feel and weight, and fits the hand well. It weighs in at 9.9oz (282g) with the standard battery attached and 10.8oz (306g) with the high capacity battery. Battery removal requires a simple push of the release slide located at the top of the battery. No battery sliding or pushing is required. I found the keypad buttons a bit larger than most with a lighted keypad layout of three across and four down. This puts the zero (0) at the bottom of the keypad where I believe it belongs. 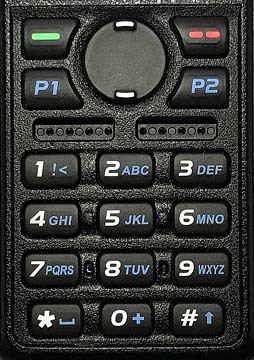 The PTT button requires only a light pressure that doesn’t tire the finger to press. The included dual band antenna is 6.25″ which is a fairly common size for a handheld. I found that there was a slight improvement of about 2db by using an NA-771. The 771 is 10″ longer, so a difference would be expected, but I’ll probably stay with the stock antenna. The receiver sensitivity is very good on both digital and analog. I found the receive audio is amazing with wide and smooth frequency range. The volume control range is adjustable with the software. Level 1 sets the full range of the volume control to a soft level, even at full volume. Level 8 sets the volume range to very loud at the top end. My preference is level 3 to 5 which is plenty loud, even for mobile operation. The radio has a two multi-color display options. The high contrast White on Black, and the softer is a Powder Blue with multi-color icons. The color is selectable via software or as a keypad menu option. The screen size is 1.1″ x 1.4″ with excellent resolution . There are multiple sites where the current DMR User Database can be downloaded. There are various formats available allowing you to view name, call, location, user ID, license class, etc. Along with entering data in the conventional manner, the software allows you to import and export data to ‘csv’ files. Loading in a contact (TG) list, channel list, database, etc. is relatively simple. I found being able to export to a ‘csv’ file has several advantages. I like having my channel list in sequence. With most software, you can only add new channels to the bottom of the list. Now I can sequence the list so it’s easy to view then load it back into the code plug. Adding a new repeater can be done in minutes. I just cut and paste a copy of an existing repeater, change the frequencies, and load it back. Note: The BTECH 6X2 can import a code plug (.rdt) from an Anytone D868UV directly. This is a great way to get your 6X2 on the air. Once loaded, however, due to the expanded parameters, the D868 is not capable of reading a 6X2 code plug. Adding large amounts of data, updating and re-sequencing via CSV files is a major plus, but should always be done with Caution. For instance, Talk Group data must always be loaded before or at the same time as the Channel data. If not, improper data attachment may not occur. Always backup your current code plug before modification. As additional features and future enhancements are developed, the radio can be updated to latest model. A firmware upgrades can be done with a Windows computer in about 5 minutes. 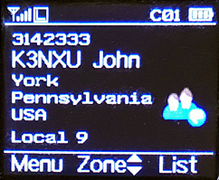 Note: The DMR-6X2 firmware is specific to this radio. It cannot be uploaded to a different model in hopes of adding new features. The DMR-6X2 comes with the necessary programming cable. The UART chip inside the radio, so the cable itself is straight through. There is no circuitry inside the cable itself. The driver will load automatically when the cable is attached. For reference, although the cable appears to be the same as some that have the chip in the cable, those cables are not compatible. The charger base requires a standard 12vdc wall wart (included). The LED on the front of the charger base is Red when charging, and Green when either fully charged or no radio in the cradle. The battery easily charges to full capacity with an overnight charge. There are two batteries included with the 6X2, a 2100mAh and a high capacity 3100mAh. With battery save on, I can get 2 to 3 days out of the 3100mAh battery before needing a charge. There are also USB charging cables available with output of 12V. These can also be used in place of the included Wall Wart. If you think the BTECH DMR-6X2 very closely resembles a D868UV, you are correct, but as shown above, it is definitely not simply a rebadged Anytone. There are features and enhancements that set these two radios apart. I think BTECH was wise to wait for the bugs to be ironed out before introducing the 6X2 to the market. If you’re waiting for this radio to drop in price, don’t hold your breath. Its features and performance make it well worth the price. There are plenty of options geared more for hams than commercial use. It performs well and makes a nice addition to the ham shack. BTech (BaofengTech) is not a division of Baofeng. They are an ODM that partners with OEM manufacturers to spec and build to their own requirements, whether from scratch (UV-5X3) or from an existing product. This 6X2 is an Anytone at heart with additional unique features found only in that model. 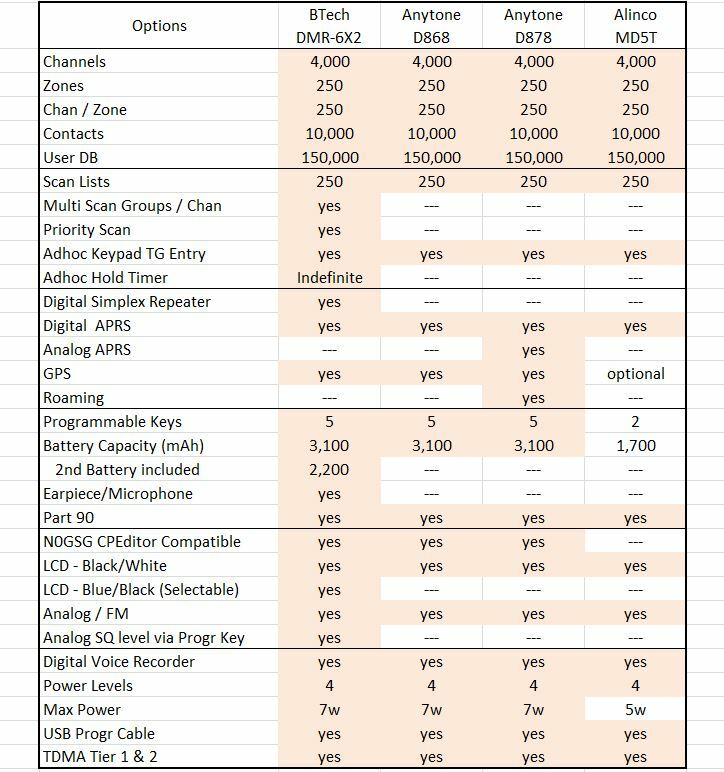 Here’s a comparison chart showing the major differences. The recently announced BTech Digital and Analog amplifier series puts a whole new spin on mobile operation. It performs more like a mobile than it does a power amp. The D series are true TDMA Tier2 DMR amplifiers. Note: This review was done using an Anytone D868UV on both DMR and analog. I found these to be much more than a typical power amplifier. Although they can function as a simple ‘In and Out’ power amp, this is about as close to a full mobile as you can get. Although the driving force was my DMR handheld sitting in my cup holder, the transmit audio was that of the included hand microphone and the receiver audio out was coming through the built in speaker driven by a four watt audio amplifier. I tested the power on two different models. The VHF V25 (non TDMA) and the U25D for UHF DMR. The power was tested using the analog side of both into a calibrated Bird Termaline wattmeter. The maximum current drain from my 13.6V 30A power supply was just under 6A. This is low enough for the amp to be powered by the 10A accessory jack in your vehicle. The basic frame measures 4.6″W x 1.3″H x 5.5″D (excluding the SO-239) and weighs in at 26oz. I was curious to see the internal layout of the amp and to no surprise, there was a 5/8″ finned heat sink spanning the entire length and width of the case along with air vent along the back of the enclosure. These are single band amplifiers. Note: The V25D and U25D were designed to include DMR Tier II (TDMA) and P25 Phase 2 along with all other modes. Their operation varies slightly. To operate VHF through the UHF (U25) amplifier, or UHF through the VHF (V25) amplifier, simply power off the amplifier. This will allow you to run straight through directly to the antenna without power amplification on that band. These amplifiers will only operate within their specified VHF or UHF range. This is due to the circuit switching design of DMR Tier II and P25 Phase 2. The simplest configuration is using the included RF cable to attach the radio to the amp. You could add a Spkr/Micr to the handheld, but you would still be bypassing some of the best features. I use the two included cables. The 3′ RF cable to attach the radio to the amp, and the control cable. This allows me to use the full size hand microphone as well as connecting the four watt audio amp powering the speaker. 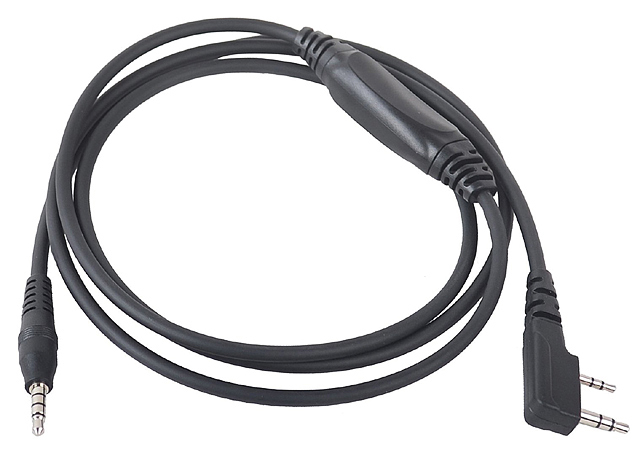 The power included power cable is compatible with handhelds using the standard two pin Kenwood style connector, such as an MD380, D868, GD77, UV5R, F8HP, UV82, etc. I use an Anytone D868 on DMR as well as analog with the hookup diagrammed below. Depending on your radios antenna jack, you may need to pickup an SMA-M to SMA-M adapter. Operating my handheld in the low power position, I still get 22W out on UHF and my handheld’s battery life remains excellent, but high power gives me a solid 39W. I was glad to see someone finally develop what is a full featured mobile amplifier capable of DMR as well as all other modes including C4FM and D-Star that is small enough to mount in the car, boat, and on top of your computer. This amplifier is Part 90 certified and definitely worth considering. It’s long overdue, but there’s finally a TRRS/APRS cable available for radios using a standard Kenwood style K2 connector. I’ve been wanting to get involved with APRS for a while now, and this made it extremely easy. The APRS-K2 cable allows you to interface your handheld transceiver with your existing mobile device, including. iPhone, iPad, and Android. 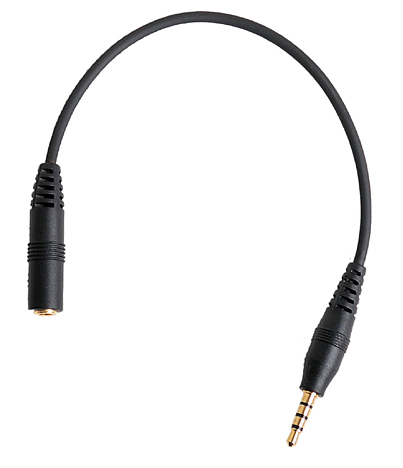 One end of the cable uses the Kenwood style K2 connector, while the opposite end is terminated with a TRRS connector. Also included with the APRS-K2 is a Reverse Adapter to insure compatibility with all devices. This adapter allows cable to connect to earlier 3.5MM TRRS standards, such as Nokia. The APRS-K2 cable uses a virtual TNC found in several apps, such as APRSDroid, APRS.fi, and Pocket Packet. Plug in the cable, turn on the VOX, and you’re pretty much set to go. BTECH APRS-K2 TRRS / APRS Cable A simple way to start using APRS by using devices you already own. The BTECH APRS-K2 Cable will quickly connect your radio to APRS by using virtual TNC (app driven) on your tablet or device. The APRS-K2 cable is built with a custom circuit board that will automatically adjust the audio for clear packet transmissions with minimal adjustment; along with protecting your devices from strong over modulated signals. Along with allowing APRS functionality the APRS-K2 cable can provide a simple interface gateway to allow several features to your radio! By connecting the APRS-K2 cable between your radio and any recording (line-in) device. 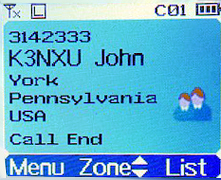 Set up VOX on your radio to accept any form of incoming audio – such as a Push-to-talk application on a Phone – or a Line-out application from your computer. Easily play audio over a intercom or speaker system from your handheld. The cable comes with a simple one page instruction sheet which should have you up and running in about 10 minutes after the appropriate app is loaded. That’s all it takes. If you’ve been considering building an APRS cable, you might find this an easy Plus and Play alternative. Too many toys, too little time. Although the case design is familiar, the radio inside is not. 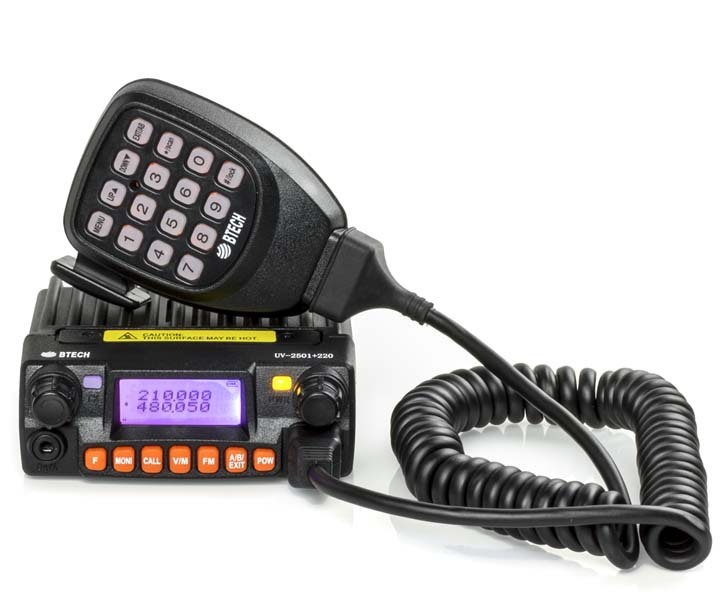 BTech has recently introduced the new UV-5X3 to the US Ham Radio market. This radio is a true triband transceiver with internal filters specifically configured for triband operation.The firmware in this radio has been reworked to include several new features not found in similar appearing radios. ** This is the identical battery that is commonly mislabeled as 1800mAh on some handhelds. The UV-5X3 was specifically designed as a Tri-Band transceiver. The internal filtering allows not only the traditional VHF and UHF frequencies, but also includes the 222-225 MHz Ham band for the US. The UV-5X3 has the traditional case design, which allows me to use my high capacity BL-5L 3800mAh battery with no alteration to the base. Accessories such as my mobile battery eliminator, Spkr/Micr, etc. are fully compatible. The frequency range is VHF 130-176 / 222-225 / UHF 400-480 MHz, supporting both Wide and Narrowband with 2.5kHz steps.The radio’s filtering scheme allows for full power on all bands. My OTA audio reports have been clean with clear with mellow audio. Power levels are respectable using a Bird VHF/UHF Termaline. Something new also appearing on this model is a DTMF gain adjustment, allowing me to adjust the DTMF audio to the transmitter to a comfortable level for both repeater control and IRLP access. If you are in a area that requires tone burst for repeater or network access, the 1000Hz, 1450Hz, 1750Hz, and 2000Hz burst are accessible by pressing the PTT along with one of the four pre-assigned keypad keys. Tone Scanning – The receiver also has the ability to identify the tone of a repeater being transmitted by a received signal. This feature gives me the ability to add / delete channels from the scanning list using the keypad. No longer a software only function. The more I can do from the keypad, the better I like it. A Long Press of the [*SCN] button will start the scanning process.Channel Mode – When scanning with the Display Sync set to ON, the upper and lower display will scan together. This is explained below under Display Synchronization.Frequency Mode – When entering Scan, the image below will appear on the screen. Enter the first 3 digits set the range start, the second 3 digits sets the stop. I found two antennas included with the radio. One was the standard upgraded A-V85 antenna, and a slightly longer one for the 220MHz band. The separate antenna specifically tuned for 220 MHz is a great addition. The SWR shows 1.3 which is excellent. No compromise. I labeled my 220 antenna, as they are very close in appearance. The UV-5X3 supports display syncing, which gives ability to track both the upper and lower LCD. I keep mine set to display the channel name in display A, and the frequency in display B. When you change the channel, both the upper and lower displays move together. .
Manual programming is pretty straight forward once you enter a few channels. A programming guide can be found at Manual Programming with a Menu Definition summary available at Menu Definitions. The software support for the UV-5X3 can be found in the Latest Daily Build of CHIRP. There are a few new options that will be added to the 5X3 in the near future. One is the ability to Stun, Kill, Revive. This gives you the ability to disable your radio remotely. The new chipset (RDA1846S and RDA5802N) provides reduced AGC switching noise and a low-IF digital audio processor for improved sound quality. It appears that BTech has once again managed to stay one step ahead of the curve. With the 220 MHz ham band operation back on the rise in the US, this radio hit the market at the right time. Even if 220 isn’t popular in your area, the additional new features still give it an edge over the traditional dual band series. 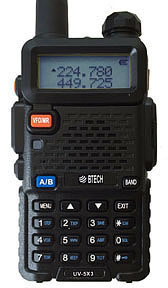 BTech has introduced a low profile Tri-Band Mobile Transceiver to the ham radio marketplace. It has all options of the UV2501 with the addition of the 220MHz US Ham Band, both transmit and receive. The +220 is specifically designed for 210-230MHz operation. This is note worthy for US hams as some models currently advertised as Tri-Band operate in the range of 240-260MHz. Unfortunately, this is not the the range needed for the US ham band, and they are not adaptable to frequencies below 240MHz due to their internal filtering. The frame is rugged, with a solid cover and a hefty aluminum heat sink and now includes a cooling fan that draws air from the inside of the radio, not just the heat sink. I would still be careful mounting the radio in an extremely tight location. As with any transceiver, it will need room to breath. The radios are terminated with a standard SO-239 connector. The +220 includes 210-230MHz transmit capability. My main interest was the 220MHz US ham band, as I have several 220 Ham repeaters within 35 miles from my house. The signal strength and audio reports have been excellent. – Power – The UV2501+220 is rated at 20-25W and holds true to those estimates. A 13.8VDC power supply was used emulate a standard auto battery. Running the radio at high power into a Bird Wattmeter for 3 minutes showed no decrease in power. There’s a thermally connected cooling fan in the rear that helps keep the radio at a respectable temperature level. The fan pulls warm air from the radio, not just the heat sink. – Frequency Steps – Steps range from 2.5 to 25 kHz. – Audio Scrambler – The Audio Scrambler utilizes the voice inversion process. This feature must be activated on two similar radios (Tx and Rx) to be effective. Although the function works properly, check with your countries regulations regarding its use. The radio has 200 channel capability with a top end range to 520MHz. The receiver sensitivity is on par with any mobile I’ve used in the past and there’s plenty of smooth, clear and loud audio. – High / Low Power – Now selectable from the microphone keypad. – Display SYNC – An option has been added to allow the Upper and Lower displays be synced, allowing the upper display to show channel Name while the lower displays the Frequency. Dual channel display (TDR) is still there, but sometimes you just want to display the channel you’re using. Now you have a choice. – Memory Mode Lock – The radio can be Locked into the channel mode (MR). – Menu Lock – While in the channel mode, the Menu option can be locked out to prevent accidental field programming. – Reset Lockout – The Reset option can be locked out to prevent accidental reset. Another nice safety precaution. – Auto Power Off – This allows the radio to shut off if the receiver is inactive for a preset amount of time. – Dual Watch Delay – allows the receiver to stay on a channel for a preset amount of time before returning to the primary channel after the secondary channel is clear. You can now select the delay time (up to 50 seconds) before the radio returns to the Dual Watch mode. – Squelch Tail Elimination – Eliminates the squelch tail if the station or repeater being received has the same function active. The radio comes with a full function keypad style microphone. Functions include: Menu, Up, Down, A/B, Exit, Reverse, Scan and Lock, and Hi / Lo power selection. The OTA reports are excellent with plenty of audio, so there’s no reason to shout. My best results were talking in a normal voice about an inch or two away. The radio has a tri-color display, allowing color options of the familiar blue, orange and purple. The LCD colors can be selected to suit your personal preference with a screen size of 1.4″ (3.4mm) wide. 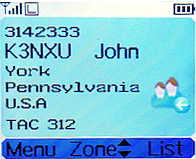 The LCD can be formatted in three different formats: Alpha Characters, Frequency, or Channel number. There is a single bank of 200 channels. You can set a channel to be added or removed from the scan list using software. The software for the UV2501+220 was designed specifically for this radio, due the added features and frequencies. Prior software is Not compatible with this radio. Loading this software to another radio will Not add new features to that radio. Use only the software that is designed specifically for your radio. This software can be downloaded from Miklor.com UV2501+220_Software. CHIRP software for this radio is currently under development. The buttons may be a bit difficult to read in the dark. There is enough light to show where the buttons are, but not to clearly read them. Fortunately, the microphone keypad is well lit, so programming can easily be done via the keypad. The 7 buttons are Function, Monitor, Call, VFO/MR, FM Radio, Exit A/B, and Hi/Lo Power. Up to six Alpha Numeric characters (upper and lower case) can be displayed to identify each channel. Scanning in the VFO mode allowed me to scan either the VHF, 220MHz, or UHF band. In the Channel mode, the scan would select any channel in the list regardless of band. Early first generation radios had a few audio issues that required ‘work around’. After many hours of drive testing with the new +220 series, I can attest to the UV2501+220 having none of the prior issues. The developer and manufacturer listened and got it right. For mobile drive testing, I teamed this radio with a Nagoya Tri-Band TB320A and SB-35 NMO mag mount and the results were excellent. With the added features mentioned above and no issues, this radio was quite an impressive tri-band package.